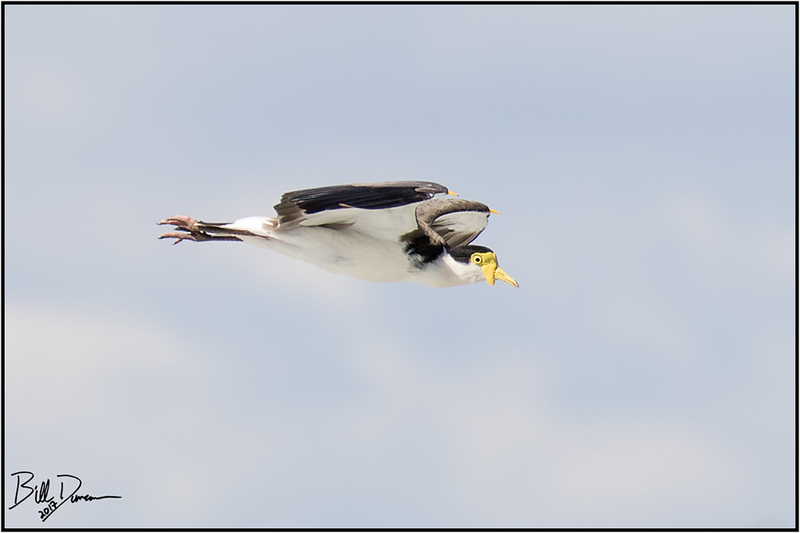 I had come across Lapwing species in Brazil. These are pretty interesting birds – often colorful, loud, large and not too off-put by human activity. They are classified in the family Charadriidae that includes the plovers and they always remind me of our Killdeer. 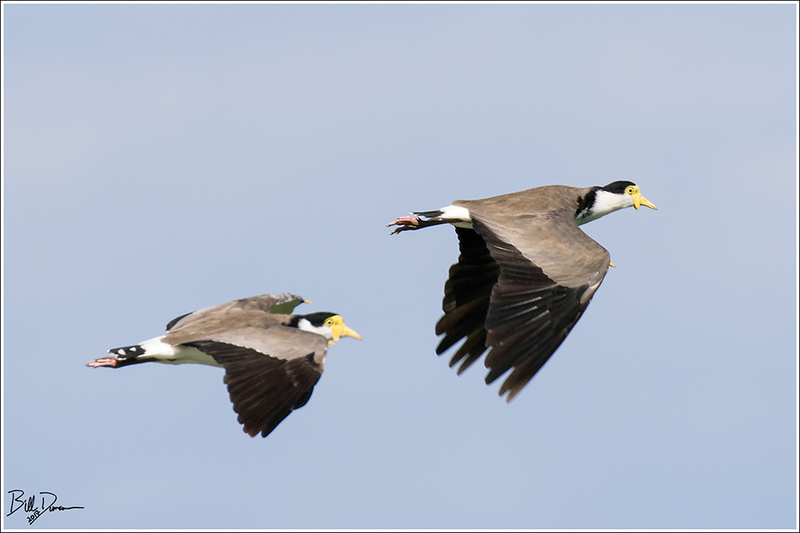 Most birds in this group use alarm calls and maybe injury feigning to protect themselves and their nests and offspring. These guys have similar tools, but look closely at the next image. Can you see their special weapons? Yes, these guys pack a little something extra in those wings. 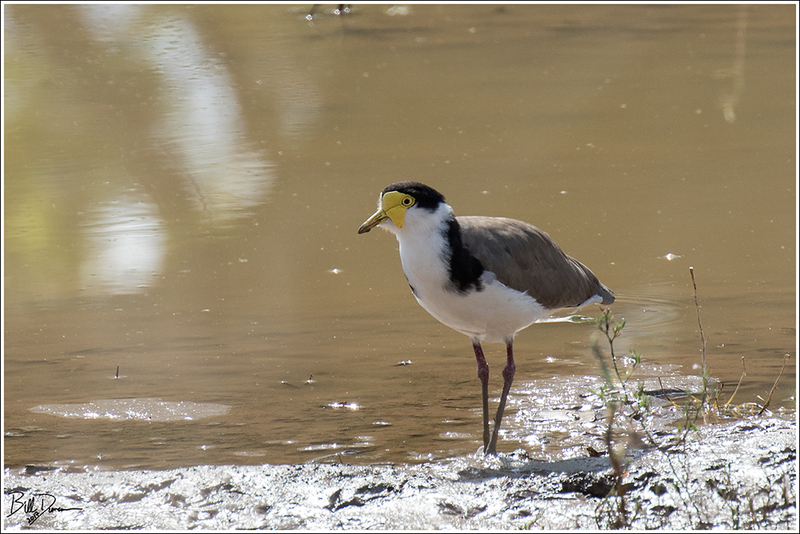 Also known as the Spur-winged Plover, the Masked Lapwing uses those spurs in territorial conflicts with one another as well as against potential predators that may be after their nests and developing chicks. Humans have been known to be struck by these not-so helpless birds. Ah, nice view of spurs. Never got a good visual of this feature in NZ where also commonly seen. Thanks!